‘Ogilvy’ means ‘high plain’ in an old Celtic tongue and our farm sits inland above the Strathmore valley, some 12 miles from the North Sea. Here, in the rolling countryside of Angus, history and heritage are always close at hand. Angus was once a southern stronghold of the Pictish people and the imprint of the past is never far away in our handsome county. It’s described as the cultural birthplace of Scotland, for upon its east coast in 1320 Arbroath Abbey witnessed ‘the Declaration of Arbroath’: the signing of a manuscript which established Scotland as an independent nation. 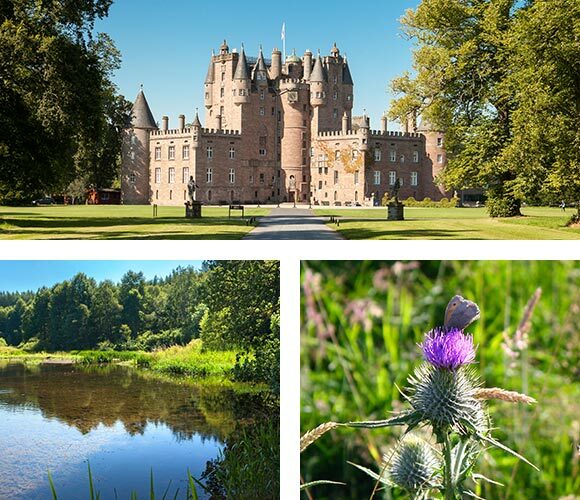 To the south of the county, our own home at the base of Glen Ogilvy lies on land situated within the Strathmore Estate, at the heart of which stands glorious Glamis Castle. This truly regal residence, which long ago hosted Mary Queen of Scots and provides the setting for Shakespeare’s Macbeth, can be found just 2 miles north of Ogilvy Farm. The area is also blessed with abundant natural history and beauty. 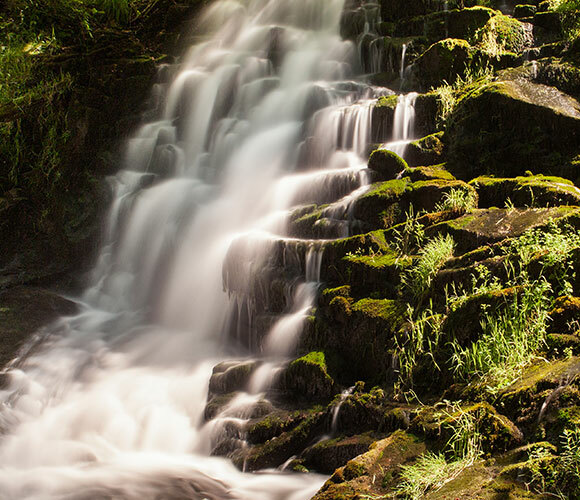 The northern Angus Glens offer breath-taking highland scenery of heather-clad hills, bubbling streams and woodlands filled with wildlife. Below them the wide, lush Strathmore valley guides pure river waters to the North Sea, meandering between the highly cultivated hill country that makes up a third of the county. Before it heads towards the valley, our own water source, the Glen Ogilvy Burn, tumbles along the bottom of the farm, providing clear, crisp water to irrigate our potatoes. It ensures that this bountiful county, full of first-class produce like sweet summer berries, succulent seafood and acclaimed Angus beef, can now offer a fresh foodie thrill. For the place in which the Scottish nation was born has given rise to another national first: ‘slàinte’ from Ogilvy potato vodka.